Our Featured Product for January, 2017 (along with "Triple Goddess Sisters" Aroma*Digestive and Aroma*Fitness). Just use discount code 2018TRIPLEGODDESS at checkout! Aroma*Immune is our synergy that protects our soul personality. This allows us to set boundaries and to defend who we are and why we are here. It protects us from energies which are not in alignment with our soul’s essence. 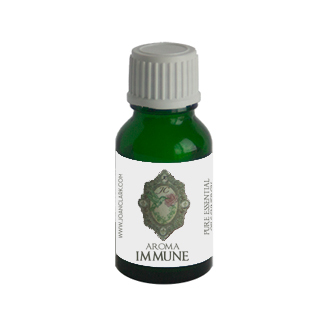 Aroma* Immune also assists with auto-immune disorders, allergies, arthritis, common colds, influenza, chronic fatigue, aids, hay fever, infection, inflammation, herpes, shingles, and disorders of the thymus, lymphatic system and the lymph nodes. Contains: Cajeput, Eucalyptus Staigeriana, Litsea, Niaouli, Ravensara.